We have a free tree for you! At Toronto Parks and Trees Foundation (TPTF), we believe all Torontonians should have access to trees and the many benefits they provide. 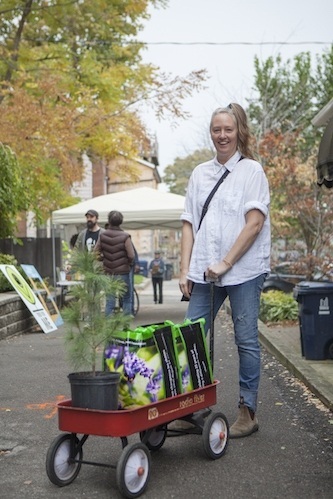 This community-based partnership makes it easy for Toronto residents to get no-cost native trees for their backyards. Tree For Me events help put more trees in our yards, more trees in our communities, and more trees in our city. Scroll through all of the steps to match yourself with the right tree for your planting location. Select the event you would like to attend to receive your tree(s). Use the "REGISTER NOW" button to sign up. A copy of your registration will be emailed to you. Attend the event, take part in a brief planting and care workshop, get your tree and take it home to plant! Stay connected via email. You'll receive tree care tips and survival surveys to help you succeed with your new tree. Consider your goals: Consider how you use the space and your long-term plans for the space that might impact your new tree's growth. Are you looking to conserve energy? Are you looking for a windbreak? Are you looking for curb appeal? What are my future plans for this space that might affect a tree? Do I like trees that bear fruit? How many hours of direct sunlight does this area get? How much space is available (below AND above ground)? Are there any surrounding trees and shrubs near the planting area that may affect my new tree's growth? Now you’re ready to use the tree-matching quiz and species information page to choose the right tree for you! Call before you dig! it's the law. Hydro One's On1Call program provides free locates. Planting the right tree in the right place is key to success. Before registering to receive a tree, please ensure you select the most appropriate tree for your planting location. We suggest first using the quiz below to help you find the right tree for you, then reviewing the species information page. Only after you have made your decision should you register for an event. All trees in the Tree For Me program are sourced from native local seed stock. 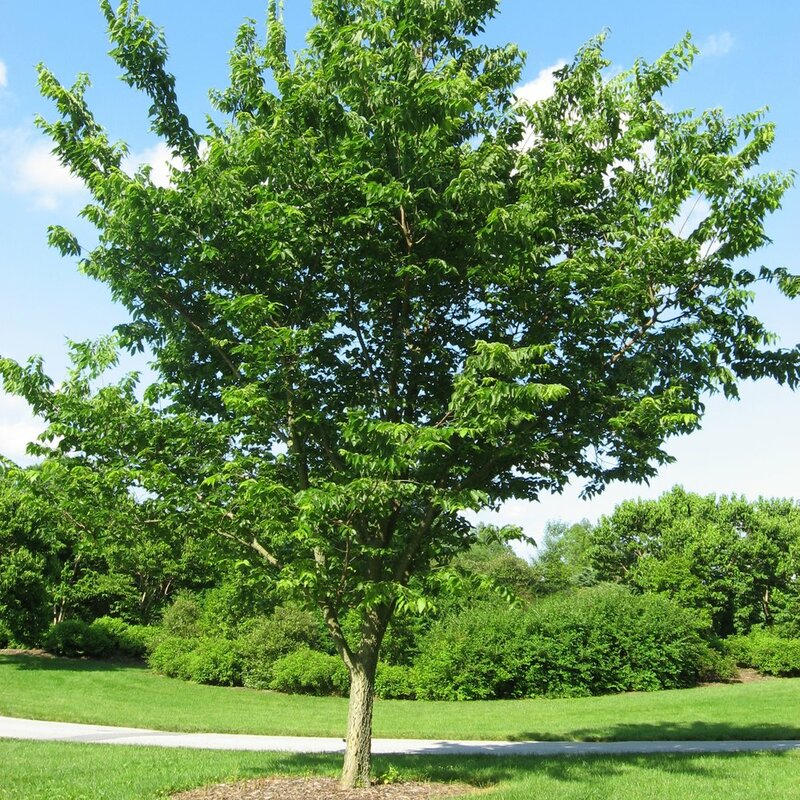 Trees come in two gallon buckets, weigh approximately 5 lbs (2.3 kg) and are 2 to 5 feet (61-152cm) tall. Trees are provided by Baker Forestry Services who specialize in growing native, seed zone specific, trees and shrubs. We love this species because of it's ability to grow in almost any condition, provided it has enough room for its shallow roots to spread out. With its vibrant red colour in the autumn season, this tree is sure to steal the show. Bur oak is more tolerant of urban conditions than most species of oak. It is quite drought resistant and has proven to be tolerant of pollution and salt, making this a great choice for a large front or back yard. This low maintenance tree is a great fit for anyone looking for a tree that's on the smaller side. It’s tolerance of the urban environment, making it a good fit for front yards. Bark from the white birch is very strong and pliable. Buds, leaves and seeds from the white birch are a great source of food for birds and animals. This tree is shallow-rooted, so keep that in mind when picking a place to plant. 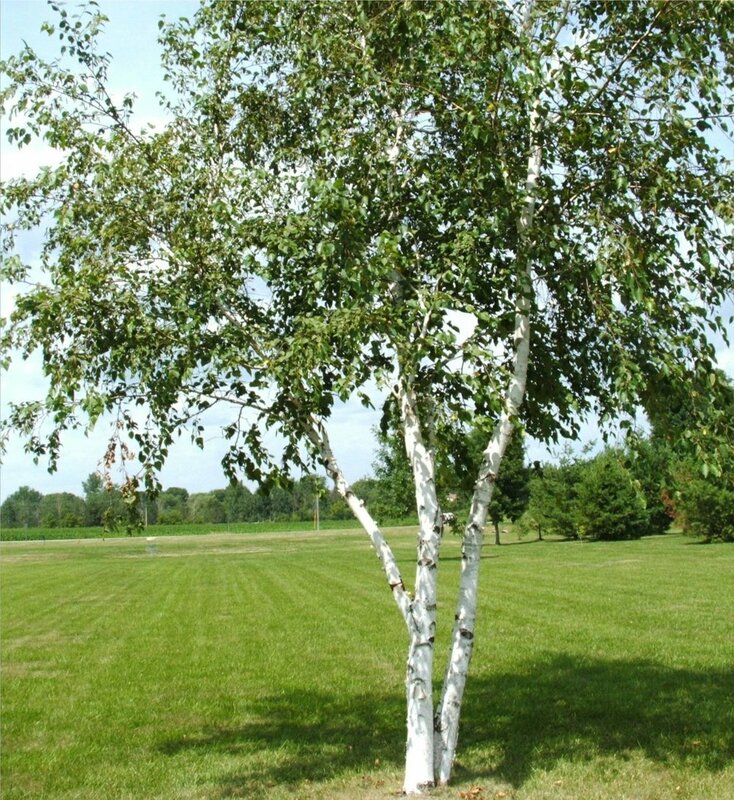 Young birches will have brown bark, but as it ages, it will turn paper white. 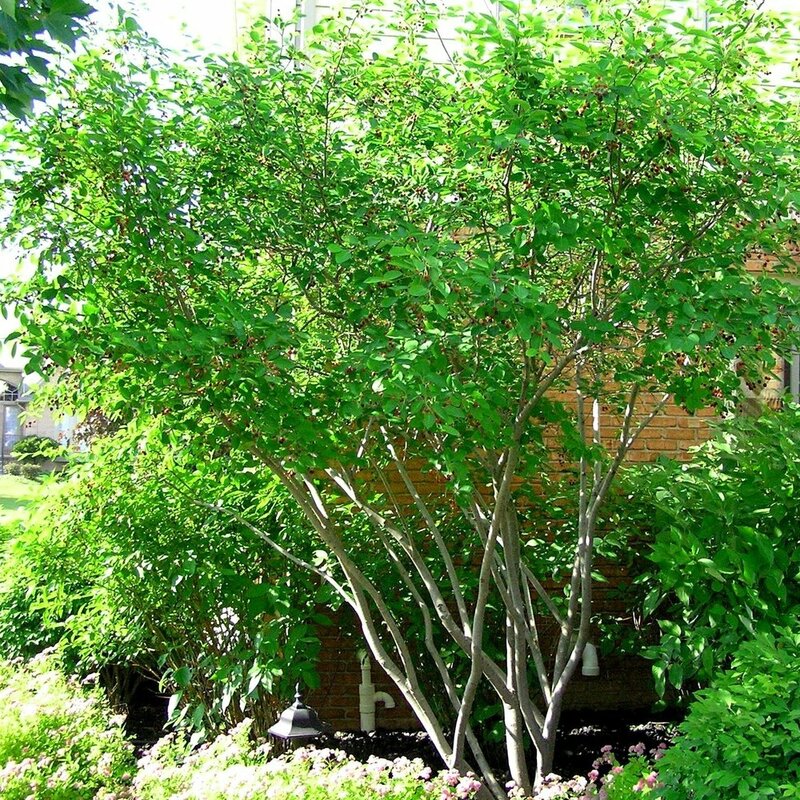 This shrub species is excellent for those with little room to plant a tree. The serviceberry plays an important role in the urban ecosystem by providing edible berries for you and local wildlife, as well as habitat to beneficial insects. We really love this shrub's early spring flowers. An excellent city tree, the white cedar is tolerant of urban heat, drought, humidity and pollution. 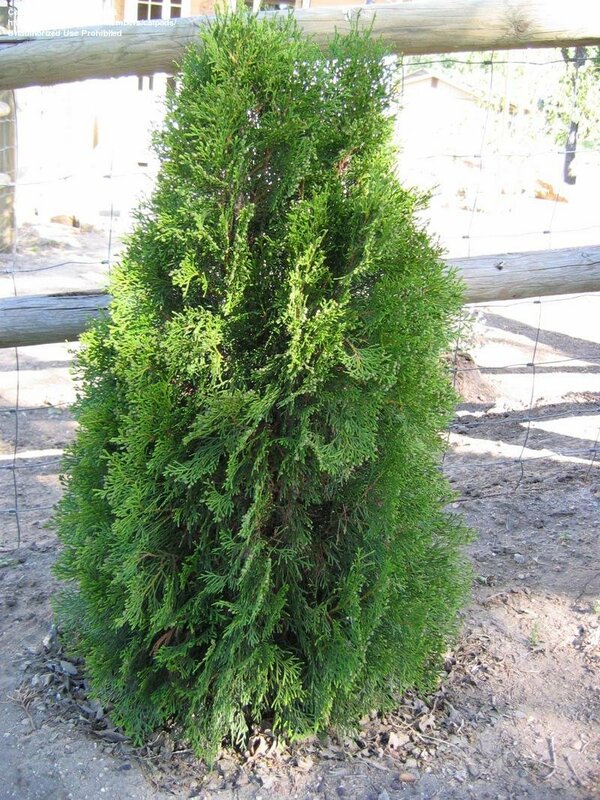 Suitable for anyone with minimal space or looking for an ornamental shrub that can double as a fence for privacy. Tolerant of a wide range of soils, including swampy or boggy conditions, this species makes an excellent thicket. Consider planting it along a fence or hedge to block sight lines. Birds and small animals appreciate this shrub's dense cover and fruit! The common name of chokeberry is in reference to the tart and bitter taste of the fruits which are very astringent. These fruits have been used in wine, jam, syrup, even ice cream! Excellent addition to an area where its suckering growth won’t be a concern. Click on the event you would like to attend, then use the "SIGN ME UP!" button to register. Participation is limited to residents of Toronto. Households are limited to two (2) trees per season. Trees must be planted in the ground. Shrubs can be planted in containers larger than 1'x1'. Non-profit and charitable organizations may request up to 10 trees by emailing treeforme@tptf.ca. Trees received through the Tree For Me program cannot be used towards any tree planting requirement or obligation under any of the City's tree by-laws, as a condition for planning and development approval, or any other laws or regulations. Registered but need to make a change to your order? You can do that here! Did you know we offer delivery and planting for residents with limited mobility? We offer delivery and planting for those that need assistance due to physical limitations. Space is limited so apply early! Recipients must be home at the time of planting. Please e-mail treeforme@tptf.ca or call 416-465-7555 to arrange a delivery. Do you live in an apartment building with limited outdoor space? If you live in an apartment building and don't have a large outdoor container, we invite you to participate in Tree For Me by caring for a seedling. When your seedling is large enough, you can plant it in the ground or, if you don't have a place to plant it, we'll find a home for your tree at a community Tree For Me event. Register for a seedling by clicking here.